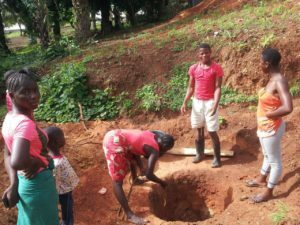 Project 1808 students discovered a nearby community in need of a well. Now, they are working hard to construct a well and improve their access to water! This is just one example of how our students are succeeding inside and outside of the classroom. Stay tuned for more updates on this initiative — Wata for Wellbodi — building wells and improving water quality in Kabala and other communities in Sierra Leone.